Dreambaby is an internationally renowned child safety brand that's available in more than 100 countries. They offer an extensive range of products specifically designed to provide parents & caregivers with modern home safety solutions to keep children safe in & around the home. From award-winning safety gates to feeding products, even locks & latches, Dreambaby has products to make your life easier as a parent & your home safer for baby! We were recently sent a Dreambaby Liberty Security Gate & as a mom of two young children, a security gate is a must-have in your home! The Dreambaby® Liberty Security Gate is easy to install & to use, it's a sturdy safety gate perfect for any area of the house, doorways, hallways & other openings. I installed ours in just a few minutes between the kitchen & the front froom of the house. I love the one-handed operation, great for parents who have their handsfull! The Liberty gate swings open both ways & stays open! Maybe you are unloading groceries or the children aren't home & you want to leave the gate open, it's easy, no tricks or props, just swing it open & it stays there-hooray! We love our new gate, ok, really I'm probably the only one who loves having a gate installed! 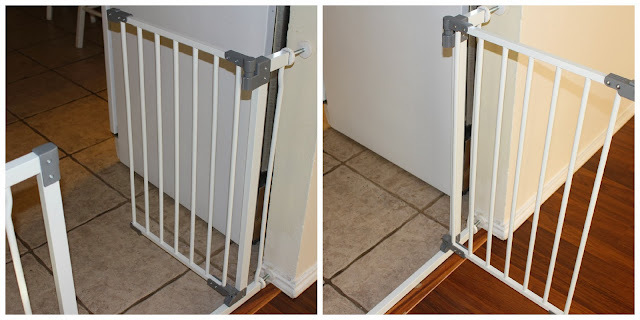 With having a little one & my oldest being Autistic, the gate has been very helpful so far & I'm honestly thinking about getting another one for the other side of the kitchen! So could you use a Dreambaby Gate in your home? Where would you install it? Buy it: Purchase the Dreambaby Liberty Security Gate from Amazon! 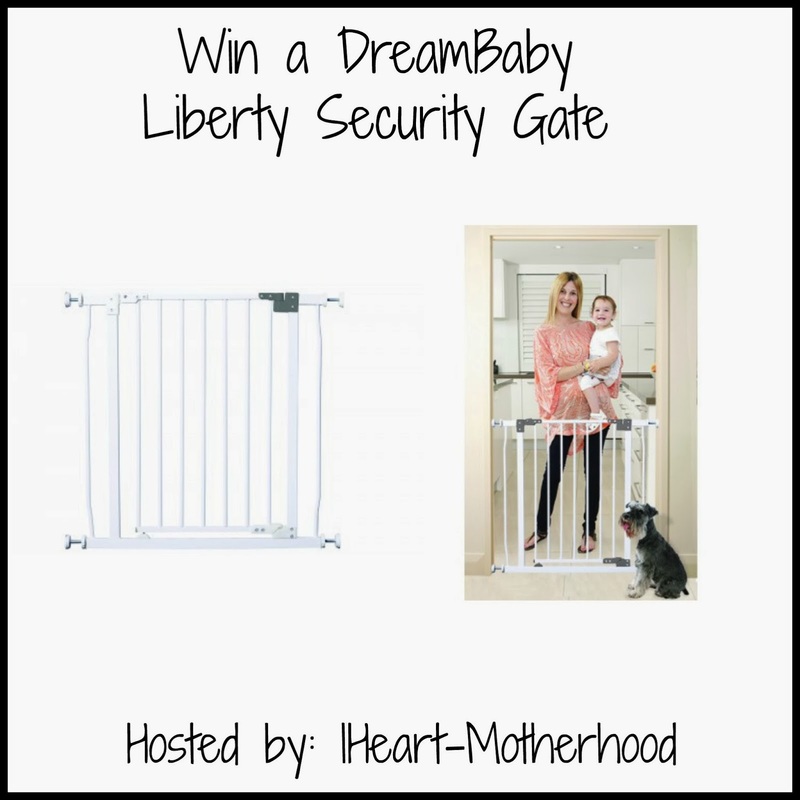 Win it: One lucky reader will win a Dreambaby Liberty Security Gate! I like the Babyview Mirror. I would like to own the Children at play warning sign. I would like the Toy Chain for my child's bedroom. I would choose the SUPER TOY STORE HAMMOCK. My son & daughter-in-law are expecting their first baby so I would like to gift them with the home safety value pack. I like the folding caution kids at play sign. That would be great for our street. I would also love the deluxe babyview mirror. I would love the super toy store hammock, it would be so great to help organize the toys in my daughters bedroom! I would love the toy store hammock, it would be so nice to organize all the toys in my daughters room! We live on a very busy road so I would love the Children At Play signs that you can put in the yard or street. I'd like to have the LOSE OR RE-USE SPILL PROOF TUMBLERS. We could really use the SUPER TOY STORE HAMMOCK to keep all of those stuffed animals in order! CHELSEA TALL WHITE GATE & EXTENSION SET (1 GATE 2 EXTENSIONS) would be another I'd choose. any of the gates! the ones with cloth would also be great for dogs so they can't see to the other side! I would love to have the children at play warning sign. I would like the extra wide car window shade! I could really use the stroller clip or wrist buddy!